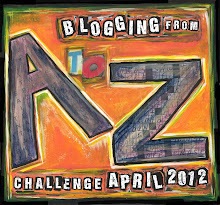 Day 21 of the A-Z Blogging Challenge and the letter U. The ukulele well-played has commanding simplicity and passion. I like Smells Like Teen Spirit, and this version. The song is imbibed with Nirvana and Kurt Cobain’s raw energy; and the ukulele brings that out beautifully, while precise plucking of strings tenderly draws out the angst of – as it’s introduced in this video – “…a teenager in love”. Want to know more about the ukulele? Please check out some of the Zemanta-fed Related Articles, written by people who love, adore and play this very special instrument. what a fun post! thanks for finding it and sharing it. You’re welcome Steve. Stumbled on that when I was learning Smells Like Teen Spirit..which I should try again! Absolutely LOVE the ukulele orchestra!! Thanks for the pingback!